Uncovering innovation opportunities that can crystallise new sources of sustained competitive advantage has become more complex & challenging. Trends offer tantalising glimpses into the future, but without a robust analytical framework and a relevant lens through which to view them, they become entertaining but irrelevant clutter. 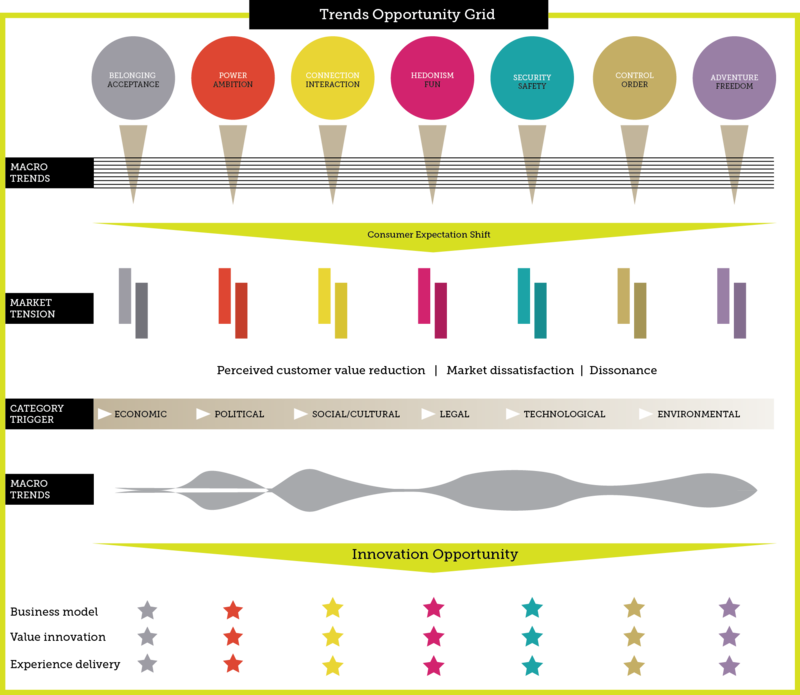 Our Trends Opportunities Grid and Relevance Filter frameworks provide a creative yet rigorous analytical approach which can help uncover the key trends and motivations to drive fruitful innovation and ultimately stimulate new areas of brand growth. 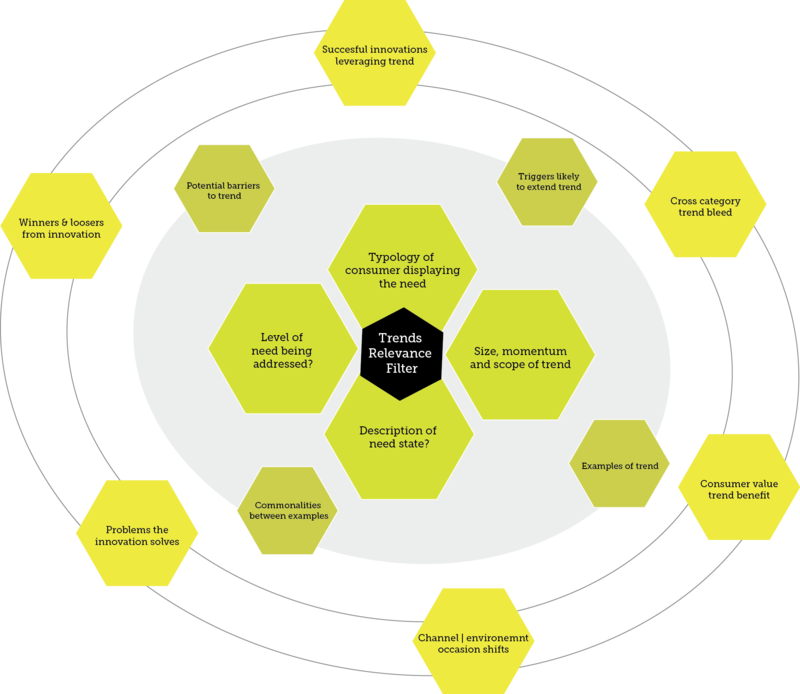 Having set in place a bespoke trends framework, we use a series of filters to determine the potential impact of the trend, its relevance to the client’s market and the likely triggers and barriers that will determine the trend’s growth trajectory. Below are examples of questions used as part of the filtering process that can help shape the brief for strategic innovation and growth mapping. Our frameworks are designed to single out those trends which have the highest potential both in terms of financial value but also the client’s ability to capitalise on the opportunity. Our experience has shown that brand opportunities are not generic. Matching opportunity to organisational skill and resources ensures a more efficient growth opportunity analysis.